From our Anaheim Hills location, we are able to serve customers throughout California. A visit to DC Motors is well worth the trip. We are a small, family-owned dealership that treats our clients like friends. Stop by today and let us know what we can do to help you into your next great car. DC Motors is a well known leading retailer of luxury and exotic vehicles since 1994. We are located in the Los Angeles metropolitan area in nearby Anaheim Hills, CA. 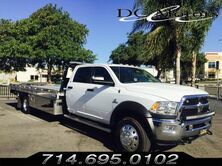 In addition to a unique and varied inventory of vehicles, we offer competitive financing and convenient consignment options. We welcome any pre-buy inspection prior to purchase and can help facilitate shipping to anywhere in the world at an affordable price. We also offer clients free airport pick-up from John Wayne Airport located just 20 minutes away from our showroom in Orange County. To visit our dealership, we recommend calling in advance and arranging an appointment with any of our knowledgeable sales staff. We are located off the 91 freeway near the 55 and also just a short distance from the interstate 5 freeway.